Scotmid Warrender Park was re-launched in September 2012. “To be recognised by our industry in this way is fantastic and is testament to the hard work of Store Manager Michael Shiels and his team, and everyone involved in making Scotmid Warrender Park so successful." 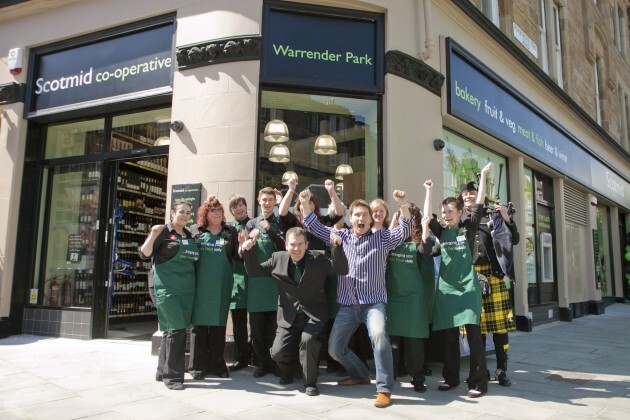 Scotmid’s Warrender Park store in Edinburgh is celebrating after winning the store of the year award at yesterday’s inaugural Scottish Grocers’ Federation (SGF) Retail Excellence Awards 2013. The Scotmid Co-operative store, located on Warrender Park Road in the Marchmont area of Edinburgh, received the award in recognition of excellence in all areas of the retail environment. 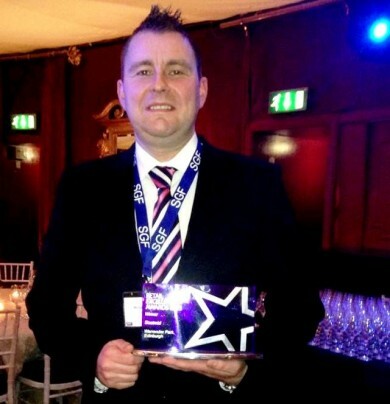 Store Manager Michael Shiels with the SGF Store of the Year award. Scotmid re-launched the Warrender Park store last year with a new premium design and format to improve the store for local customers. The store was completely revamped to give it a more modern look and feel, with a striking black and green colour scheme, a more spacious layout and new product ranges. A significant part of the refurbishment was to introduce new customer services to the store, including a new in-store bakery counter from Stephen’s the Bakers. The store also installed a freshly squeezed orange juice maker, a Costa Express coffee machine and a new artisan bread range from The Breadwinner Bakery. Another key improvement was to increase the size of the fresh fruit and vegetables section and expand the range, which has helped to make Warrender Park Scotmid a destination for fresh produce in the local area. The store now also stocks more products from local suppliers and has larger ranges of meat, fish, wholefoods, fresh flowers, speciality wine and craft beer. Warrender Park was the first store to pilot Scotmid’s new premium format. The format has been so successful that the retailer has rolled it out to another ten stores, with more in the pipeline.